Posted on February 26, 2017 at 8:35 pm. Tobacco 21 seems to have more momentum moving into the 2017 Legislative Session in Texas than in years past. Bi-partisan support seems to point toward a brighter future for a minimum legal sales age increase. The bill has two main sponsors: Representative John Zerwas and Senator Joan Huffman. Both the Senator and Representative have key positions in the legislature, making their involvement that much more impactful. Texas recognizes that smoking related disease is still the number one cause of preventable death in the United States. contributing to hundreds of thousands of lives lost, even more various morbidities, and millions of dollars in health care expenditures among many more negative effects. 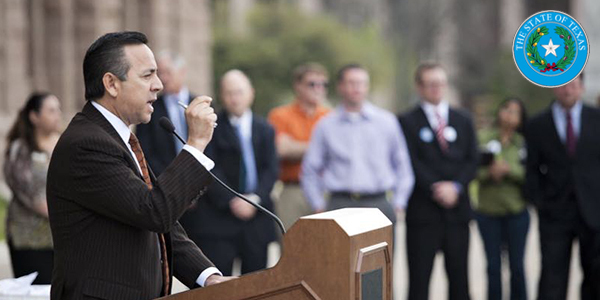 By dedicating their time and effort to raising the MLSA of all tobacco products to 21 in Texas, lawmakers forge a brighter future for their youth, one free of a deadly and expensive addiction. Follow the link at the top of the description for more. Posted on February 17, 2017 at 11:15 pm. 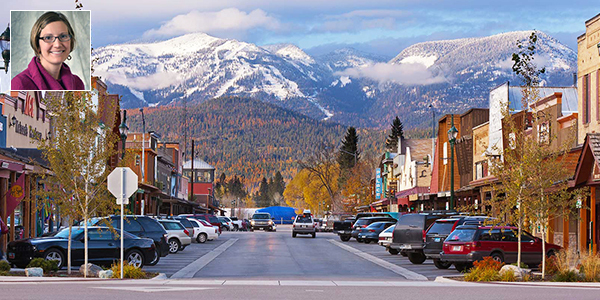 A Montana Newspaper has weighed in on raising the minimum legal sales age (MLSA) to 21. The author, Maia Dickerson, is a Tobacco Prevention Specialist at RiverStone Health in Billings, MT. Her experience and immersion in tobacco prevention makes her a perfect voice for tobacco 21 in her community. In a state like Montana, where local age increases for tobacco products are expressly preempted in state law, it is still important to start the conversation at the local level. By creating a groundswell of local support and involving stakeholders representative of those communities, state legislators are much more likely to consider legislation. Posted on February 12, 2017 at 7:48 pm. Three Flagler County teens, as part of Students Working Against Tobacco (SWAT), are seeing progress in their effort to raise the age in Florida. Daniel Thomas, Kamrin Bunn, and Bella Giuliano have been working on raising the age since November and have seen good community buy-in. 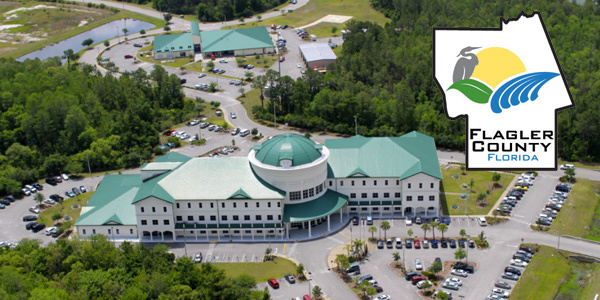 Traveling to individual City Councils for support before approaching the Board of County Commissioners, they are working locally and garnering support from key stakeholders in their communities. Youth advocates like Thomas, Bunn, and Giuliano are key to creating successful Tobacco 21 campaigns. Check out the link above for The Daytona Beach News-Journal’s article highlighting the great effort put forth by these youth advocates. Posted on February 3, 2017 at 10:41 pm. 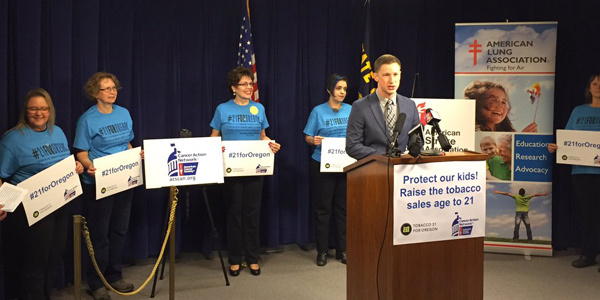 HB 2735 was introduced to the Oregon Legislature this week. The bill was highlighted during a roll-out press conference on February 1st. Our Western Regional Director, Eric Brodell, was there to support the statewide effort and provide comment to the media. Check out the article linked at the top of this synopsis for a more in-depth look at the press conference. Posted on January 23, 2017 at 8:12 pm. 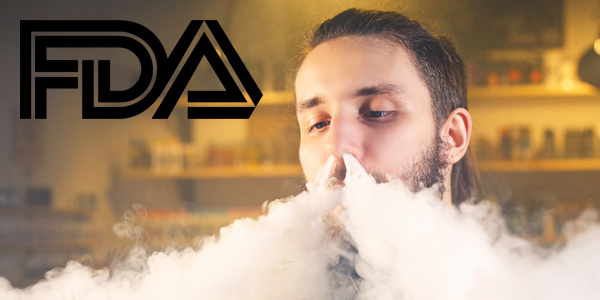 The Food and Drug Administration has released a draft compliance and enforcement document for vape shops falling under the deeming rule, where all shops that ‘create or modify these products are considered manufacturers under the FD&C Act and, therefore, are responsible for complying with the requirements under the law that apply to manufacturers’. By opening a draft document to the public, the FDA offers an opportunity to educate newly-deemed retailers before such an enforcement and compliance goes into effect. The document outlines: ‘definitions, the FDA’s interpretation of and compliance policy for the label requirement in section 903(a)(2)(C) of the FD&C Act, which vape shop activities subject vape shops to certain requirements of the FD&C Act, and the limited circumstances under which FDA does not intend to enforce compliance’. It is worth noting that the FDA intends to include ‘any establishment that performs the described activities, such as stores that sell hookah (waterpipes) or pipes’. Business owners should be aware of the impending compliance laws and their enforcement provisions. For more, read the FDA’s release linked at the top of this description.